The starting shot has been fired but you freeze up. You want to start, but you just do not know how! I know. Learning a new language can be really daunting. A language is a vast, living, breathing creature and it can be hard to know where to start. If you have been trying to take that first step towards fluency, this post will be the kick you need to get those feet moving. Just use a beginner-friendly resource or two from our list and you will be hitting the ground running! Remember: Starting is half the battle. Deciding to learn Spanish is the easy part. There are so many benefits to learning a new language! How do I love thee, Spanish, let me count your benefits! Spanish is one of the most widely spoken languages in the world. Spanish as a first language is more common than English! Knowing more than one language greatly improves your job prospects. Learning a new language is like adding a secret weapon to your resume, especially a common language like Spanish. Learning a new language actually improves your command of your primary language. Just learning a new language helps you to better understand and recognize the structure and grammar of your native language. Learning a new language can be hugely beneficial to your mental health. It can improve your memory and ability to multi-task, as well as fight against conditions such as dementia and Alzheimer’s. If that is not a good enough reason, then I don’t know what is! Finally, learning Spanish unlocks completely new cultures to explore. Learning Spanish offers you a new look into many Spanish-speaking cultures. It is a big world, so why restrict yourself? Before you begin, you should invest in a few useful items. If you are reluctant to spend money, do not be. Learning a new language should be a commitment, not a short-term fling, so it is important to be well equipped with a few useful Spanish books. That said, it is possible to find some of these tools online for free. Just remember that, sometimes, you get what you pay for! Free resources like Google Translate are excellent for a quick check but they should not be used alone since they can be inaccurate. The first thing you will need is a good Spanish dictionary. Not all dictionaries are equally useful so take your time picking one that works for you. Also, try to find one that includes some useful phrases in addition to single words. This will make your learning path a lot easier in the beginning and help you to hold basic conversations sooner. The next thing you will need is a grammar guide. With a plethora of online Spanis- to-English dictionaries, this is almost more important than owning a dictionary. If Spanish is not the first Latin-based language that you have learned, then learning Spanish grammar will be easier for you. But if this is your first run around the block, your grammar book will be a Spanish-learning Bible. Learning how to conjugate verbs is easy, but Spanish has multiple irregular verbs on top of its many verb tenses. When it comes to verbs, you will need all the help you can get! The last thing I recommend, though it is not essential, is a Spanish textbook as well as its companion workbook. If you decide to enroll in a Spanish course (which I cannot advocate enough), your teacher might recommend a specific one or even require you to use one. If you are choosing to learn independently, then having a textbook to guide you through the language-learning process will help focus and guide your learning. Learning a language has gotten a lot easier over the last decade. With an almost infinite number of online resources at your disposal, many of them free, there is no excuse not to get started! Youtube is a great resource for Spanish learning. You should also make full use of online videos, activities and Spanish podcasts. There are also great new apps being developed every day and many online language-learning websites also have mobile versions. If you have never learned a new language before, you might not know how often or how long to spend learning. Like I said earlier, there is no easy or fast way to learn, so the best way is to learn a little bit every day. Getting into the rhythm of practicing every day might be hard at first, but you do not have to practice for long periods of time. Your study sessions just need to be long enough to learn a bit more and keep Spanish at the forefront of your mind. Remember that learning a new language is a multi-sensory experience, so make sure you are covering all your bases. You need practice speaking and writing as well as listening to and reading Spanish! Often, the most difficult part of learning a language is learning how to actually become conversational. This takes time, so try not to be discouraged in the beginning. It is imperative that you practice with other Spanish speakers. A mirror or a computer is just not going to cut it. Practicing speaking Spanish is one of the best reasons to invest in a Spanish course. Learning in a classroom or with a private tutor is a surefire way of speaking Spanish with others. Learning from a teacher also ensures accurate pronunciation and keeps your learning structured and focused. This is even more important if you plan on using your Spanish in a professional environment. Another way to get conversational is to get a Spanish learning partner. 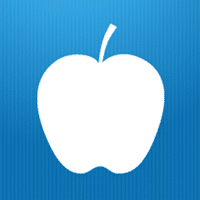 You can use the resources below in addition to these suggestions. However you decide to use them, they will add some Spanish to your life! If you have dabbled in language learning before, then you have probably already heard or even tried Duolingo. It is a great tool for beginners and, best of all, it is free! 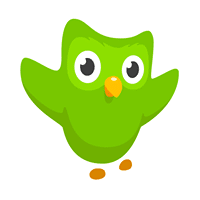 Duolingo organizes learning into a series of categories divided into lessons that cover both grammar and vocabulary. Each lesson is made up of multiple-choice questions, pronunciation tips and listening exercises. The first few categories cover Spanish basics: phrases and easy topics such as food and animals. As you progress, you will tackle more and more difficult topics including pronouns, gerunds and verb tenses. With each lesson you complete, you unlock new sets of categories. Duolingo tracks your progress and encourages you to maintain your learning streak by studying a little bit every day. You can also set your own daily lesson goal. Duolingo provides additional support for learners with Duolingo Stories and podcasts. These cover interesting topics such as travel in relatively simple Spanish, and are designed to aid beginners with both reading and listening. Additionally, there are even more opportunities for learning on the app, which gives users access to lessons as well as features such as chatbots. These bots generate basic dialogues in order to teach beginners how to hold simple conversations and help practice writing basic Spanish. 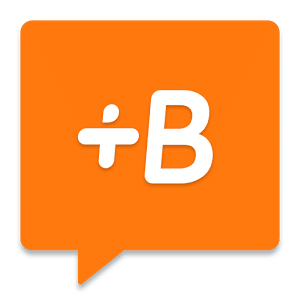 Similar to Duolingo, Babbel begins by walking you through the basics like everyday phrases and greetings as well as simple grammar and vocabulary. If you already know some of these concepts, why not step it up a notch? There are a total of six levels in the Babbel beginner course covering grammar, verb tenses and topics such as the environment and personal interests. There is also a listening and speaking course which goes into greater detail on the pronunciation of different words and letters in Spanish. Babbel lessons use images and audio as well as speech recognition software, which is perfect for visual learners and people who struggle with pronunciation. The good news is, your first lesson with Babbel is free! After that, you can subscribe to the program on a monthly basis for a small fee. You can go at your own pace and, like Duolingo, there is an app that allows you to access learning anytime, anywhere. So there really is no excuse to not squeeze in a little bit of practice everyday. Even ten minutes while you are waiting in line at the post office will help! Immersion is one of the most effective ways to learn any new language! But how do you immerse yourself in Spanish, short of actually traveling to a Spanish-speaking country? With Perfect Sunset School language Spanish school in Costa Rica. You also can practice surfing and be in touch with local people and inprove your Spanish faster. 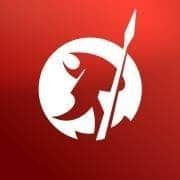 This is a great website for those just starting to learn Spanish, but it is also really useful for people who are no longer beginners. Study Spanish has a ton of free resources. They explain Spanish grammar and verb conjugation in detail and provide useful vocabulary lists and a section on pronunciation. If you do not end up buying a grammar book, this is definitely a website to check out. You can also pay for their Camino Del Éxito course. This gives you access to premium features as well as the course itself. The course is divided into three levels which you can pay for individually or together for a discounted rate. It is more expensive than Babbel and they recommend trying to spend at least half an hour a day learning, so this is not a course to just dip your toe in. If you are serious about learning Spanish, though, this website can be an incredibly useful resource. 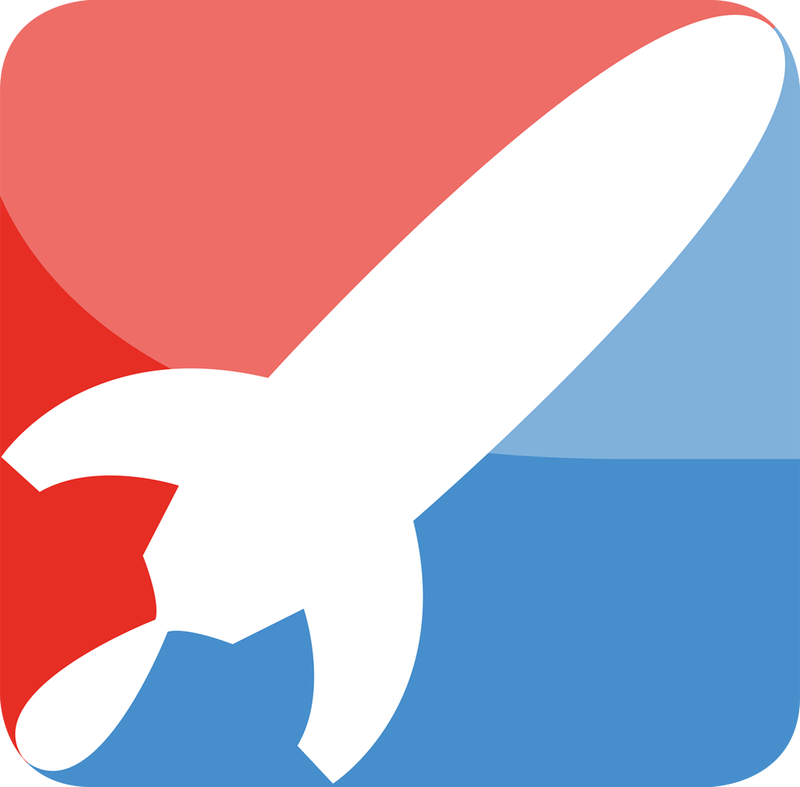 Rocket Languages is a popular website for language learners. Like Study Spanish, though, this is for those truly looking to pour their time into learning Spanish. Their prices might look steep but remember you are still probably paying less than you would for a local course. They also offer a free demo so that you know exactly what you are investing in. The Rocket Spanish course is divided into three learning levels and they have everything you could possibly want to assist with your learning, like flashcards, grammar lessons and extensive audio lessons. They also have voice recognition software so that you can record your pronunciation of words and phrases. 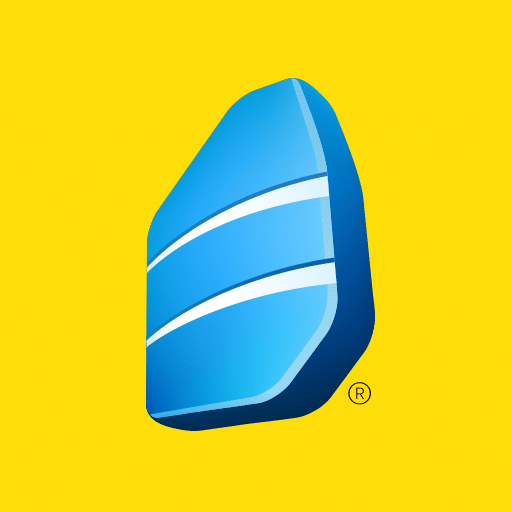 Probably the most established online language learning resource, Rosetta Stone has had over twenty years to hone its teaching techniques. The program and app have some exciting features, including the ability to download audio lessons to keep learning even when you do not have internet access. Rosetta Stone keeps learning entertaining with activities like reading stories and gives users access to useful tools like their phrasebook. They also boast their use of TruAccent software to help match your pronunciation with native speakers to test your speaking accuracy. If you are still unsure about Spanish, 123 Teach Me is a great website to test your desire to learn. It has plenty of free resources including games, quizzes and lessons to help you study Spanish. Take a look at the “Spanish 101 Lessons.” These are grouped so you can begin with the absolute basics and work your way up. The “Spanish 201 Lessons” are helpful if you are having some trouble with grammar and verb tenses. The quizzes are great for testing your knowledge on a whole range of subjects from adjectives to Spanish-speaking countries! 123 Teach Me is especially useful for mastering verbs. They have compiled a list of the top 100 most useful verbs, both irregular and regular. There is a quiz to test your knowledge and they also have a very useful verb conjugation tool. This is another great online resource for those who are still not completely convinced that they want to learn Spanish and would like to test the water before diving in. The website is very simple to use, making it perfect for those who are not technologically savvy. Best of all, it is completely free! The website is designed specifically for beginners. The lessons take you through many of the basics of Spanish. They also provide texts accompanied by audio and English translations of popular children’s stories to aid with reading and listening. 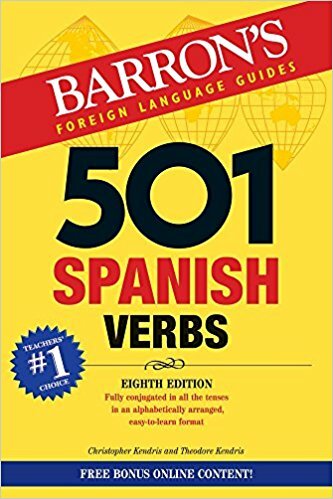 However, The Spanish Experiment is limited since it does not cover things like verb conjugation, so I suggest using it in conjunction with other resources. Now you are all geared up and ready to run. 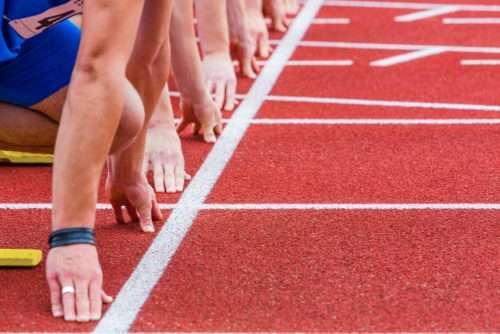 Just open one (or all) of the websites above, and race towards that fluency finish line!